Ah, Bowheads and their tanks. 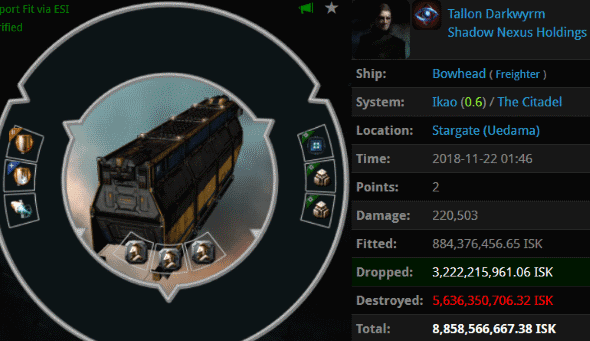 Tallon Darkwyrm's ship had hundreds of thousands of hitpoints, but nothing could prepare him for the experience of being an unlicensed hauler pilot in the vicinity of Uedama. He soon learned what that meant. Agents Jayson Kusion, Jayden Kusion, Jake Kusion, Justin Kusion, Joel Kusion, Jackson Kusion, Jason Kusion, Jeremiah Kusion, Joshua Kusion, Johnathan Kusion, Jacob Kusion, Jeremy Kusion, Joseph Kusion, Josh Kusion, Jonas Kusion, Jack Kusion, Jimmy Kusion, Jessie Kusion, Jeffery Kusion, Jared Kusion, Jaiden Kusion, Josiah Kusion, and Jax Kusion represented the Kusion name--and that of the mighty CODE. alliance--to perfection. 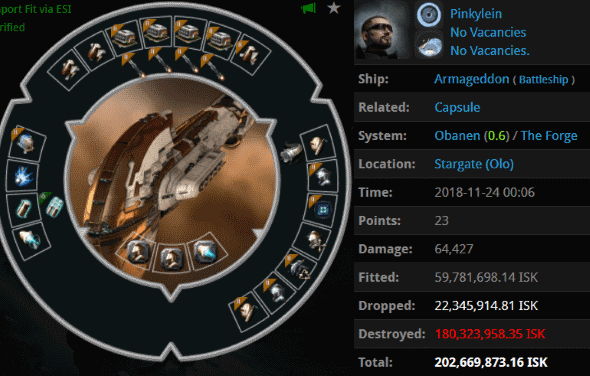 Carebears think otherwise, but in EVE, it's never about the bling--it's about the man who wields it. 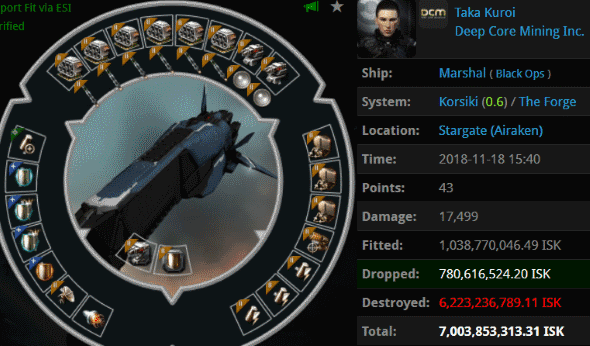 A Marshal worth 7 billion isk was lost by Taka Kuroi, who was simply outclassed by Agents Votre Dieu, Narl' Amhar, and Astrid Tyrfing. Deep Space Transports have a checkered history in Uedama. If they obey the Code and do everything right, then they can survive the journey. Otherwise, they have no chance at all. It's that simple. Yet Luc Stark chose to go on autopilot through Uedama anyway. 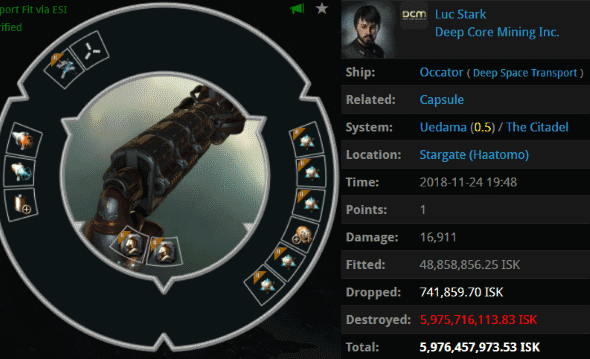 His ship was intercepted by Agents Jayden Kusion, Joel Kusion, Jackson Kusion, Jake Kusion, Jayson Kusion, Joshua Kusion, Justin Kusion, Johnathan Kusion, holdmybeer, Jeremiah Kusion, Joseph Kusion, and Jason Kusion. Fighters? The only fighters in highsec are the Agents of the New Order of Highsec. And the only support they need is that of the Code itself. Nice gank attempt, Pinkylein. Our Agents only make it look easy. Agents Krig Povelli and Marcus Luttrell Khan defeated Pinkylein. The friendly neighborhood NPCs got a few licks in, too. 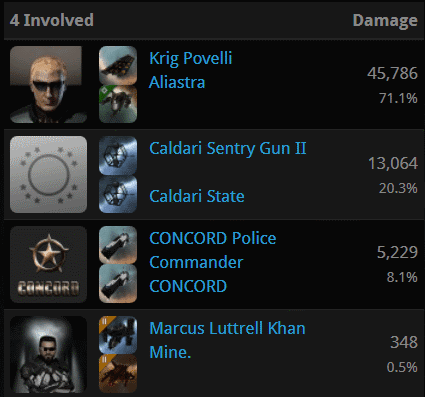 Still want CONCORD to be buffed, carebears? 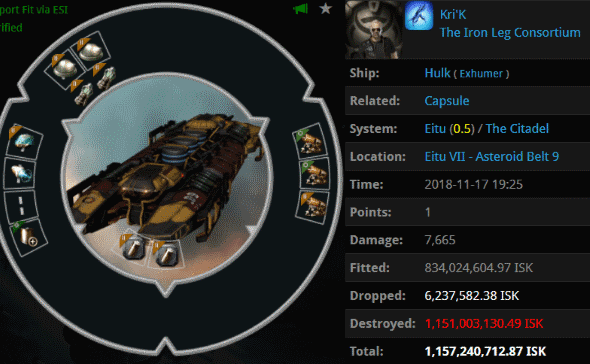 Late last week, Kri'K was caught using a Hulk in the Eitu system. 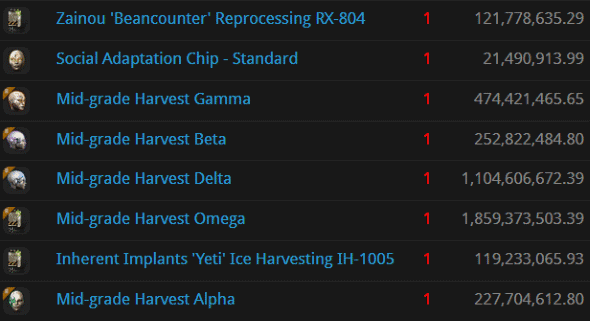 Miners keep trying to find a safe place to mine without a permit, but when it comes to highsec, every system may as well be Halaima. Agents Araena Calorne, Lucia, Blowtorch Betty, and Eva Mavas brought this cowardly criminal to justice. Arkan Bahus, too, tried out the ol' Hulk routine, but to no avail. 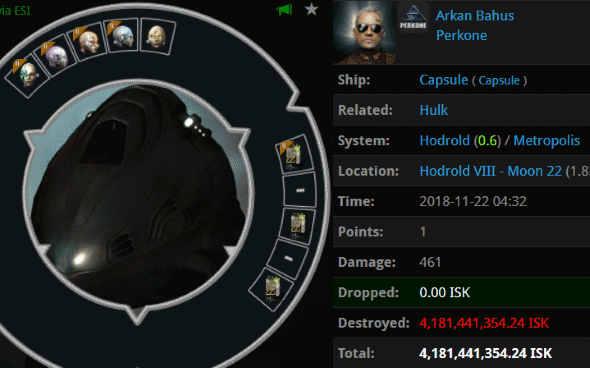 His ship was eliminated--serving up a nice fat pod for the fastest ganker. Agent Magalaus Shardani had the best reflexes, and so the juicy podmail was his. 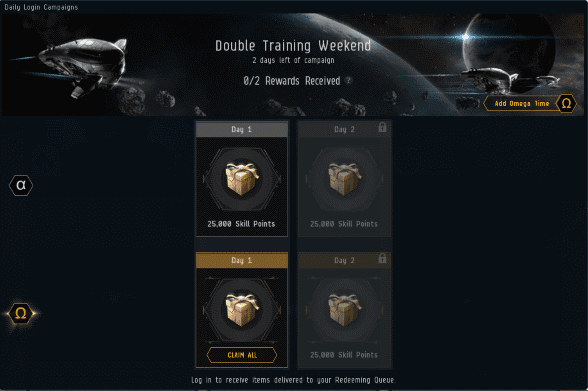 A Harvest set? You're a fool, Arkan Bahus.